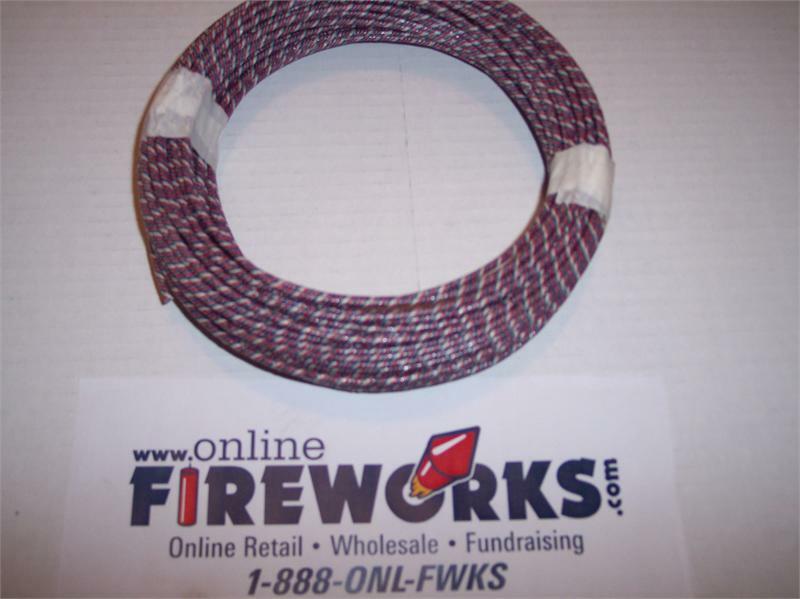 Fuse 3/32 Custom Length of American RED, WHITE and BLUE Waterproof Fuse, burns at approx. 2 seconds per inch or 24 seconds per foot. Please Note fuse does vary in size from 3/32 to 1/8.